Performance worn " Shanon Phillips Collection " black Fedora from the 30th TV Anniversary Special in September 2001 . Signed in gold pen. Given to David Gest with signed letter of provenance stating the above facts . Fantastic !! Black fedora, gold stamped "Michael Jackson" on interior band. Worn by Michael during his performance at "A Night at Apollo", April 25, 2002. Red fur felt Akubra hat with a white hat band, worn by Michael Jackson during his appearance on the Australian Telethon TV special in 1985. Black wool fedora made by Golden Gate Hat Company with interior hatband reading "Michael Jackson", worn by Michael during Billie Jean at the November 21st BAD Tour show in LA. White fedora made by Golden Gate Hat Company with interior hatband reading "Michael Jackson" and "Casablanca", worn by Michael Jackson during Smooth Criminal at the April 1st 1988 BAD Tour show at the Hartford Civic Arena. Black wool fedora worn by Michael live on stage at the November 13, 1988, concert at the Los Angeles Memorial Sports Arena. The hat's original owner was in the audience when MJ threw it into the crowd. Black fedora with black grosgrain hat band, signed by Michael "Love Michael Jackson". Interior sweatband is stamped in gold ink "Michael Jackson". According to Julien's Auctions this hat was worn by Michael during the rehearsals for the BAD Tour ín Japan. Original Fedora Worn And Signed By Michael Jackson. A black wool fedora stamped on interior band "Michael Jackson" in gold lettering. The fedora is signed on the underside of the brim in silver pen, with Jackson prefixing his signature with "Love Michael Jackson". Black wool fedora signed on the brim "All My Love, Michael Jackson." Stamped on interior hat band in gold reads "Michael Jackson." Exact date unknown but likely from late 80's or early 90's. Black fedora signed by Michael signed "Love Michael Jackson" in silver marker. This hat was gifted to President George H.W. Bush during Michael's visit to the White House on February 5th, 1990. Black wool fedora, gold stamped "Michael Jackson" on sweatband with black hatband. Accompanied by a letter from MJJ Productions dated 1996 stating that this item was worn by MJ (likely in the 1980's) Size Large. Black wool fedora with "Michael Jackson" embossed in gold on the inside hat band. Michael gave this hat to publisher and organizer Stephan Vogel in Berlin on November 21, 2002. A black felt fedora with black gross grain ribbon hat band. The interior hat band has "Michael Jackson" printed in gold and the underside of the brim is signed "Love Michael Jackson" in silver marker. Exact date of origin unknown. Black fedora signed by Michael in silver marker "Love Michael Jackson". 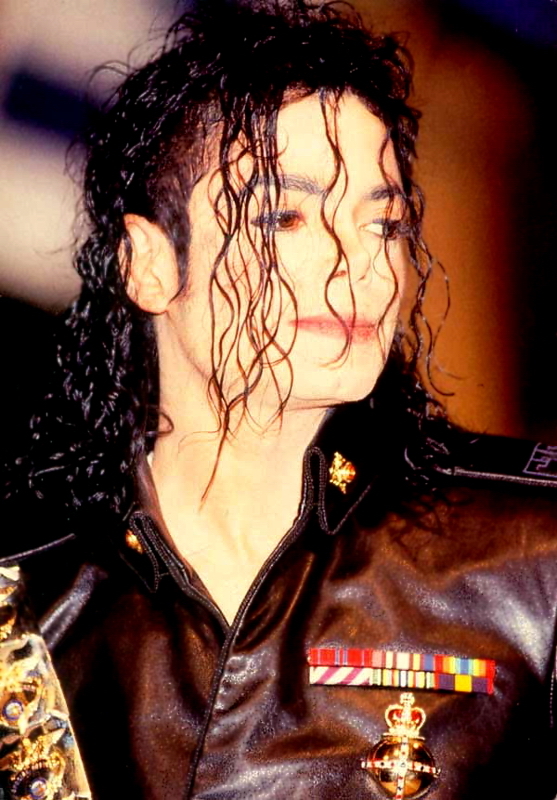 Michael wore the hat on July 25th 1998 during the Kick Boxing Champion Carnival All Stars Press Conference in Tokyo, Japan.